To claim this profile, please confirm you are Onyeka Okongwu. To follow this profile, please let us know your relationship to Onyeka Okongwu. 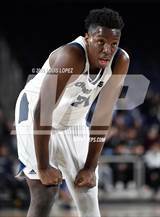 Onyeka was tagged in the article "MaxPreps 2018-19 California Boys Basketball All-State Teams." 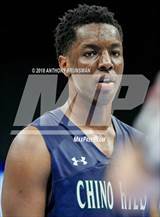 Onyeka was tagged in the article "MaxPreps 2018-19 High School Boys Basketball All-American Team." 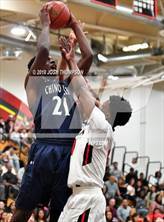 Onyeka had 41 photos tagged from the game against Etiwanda. 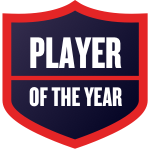 Onyeka was named Chino Hills Basketball Player of the Year. Onyeka was tagged in the article "Protecting the Game: Will leaving home be the new norm for elite high school basketball prospects?." 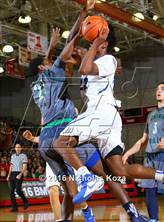 Onyeka had 17 photos tagged from the photo gallery "James Logan vs Chino Hills (CIF State D1 Final)." 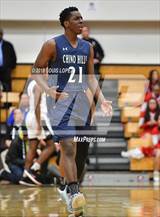 Onyeka had 40 photos tagged from the game against James Logan. Onyeka had 18 photos tagged from the game against James Logan. Onyeka had 14 photos tagged from the game against James Logan. RESULTWin Boys varsity basketball vs. James Logan. The Chino Hills varsity basketball team won Friday's neutral playoff game against James Logan (Union City, CA) by a score of 69-63. RESULTWin Boys varsity basketball @ Etiwanda. 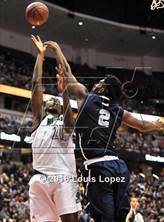 The Chino Hills varsity basketball team won Tuesday's away playoff game against Etiwanda (CA) by a score of 49-47. RESULTWin Boys varsity basketball @ Rancho Verde. The Chino Hills varsity basketball team won Saturday's away playoff game against Rancho Verde (Moreno Valley, CA) by a score of 69-59. RESULTWin Boys varsity basketball @ St. John Bosco. 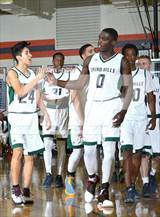 The Chino Hills varsity basketball team won Thursday's away playoff game against St. John Bosco (Bellflower, CA) by a score of 65-54. Onyeka had 61 photos tagged from the game against Santa Margarita. RESULTWin Boys varsity basketball vs. Mayfair. The Chino Hills varsity basketball team won Tuesday's home playoff game against Mayfair (Lakewood, CA) by a score of 72-69. RESULTLoss Boys varsity basketball vs. Santa Margarita. 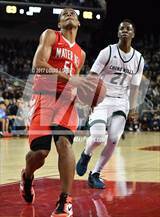 The Chino Hills varsity basketball team lost Saturday's neutral playoff game against Santa Margarita (Rancho Santa Margarita, CA) in overtime by a score of 62-61. This game is part of the "2019 CIF Southern Section Ford Boys Basketball Playoffs - Division 1" tournament. 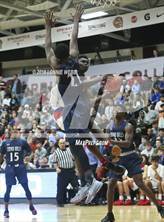 Onyeka was tagged in the video "Onyeka Okongwu highlights." RESULTWin Boys varsity basketball vs. Windward. 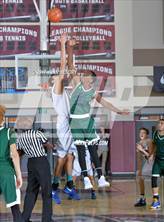 The Chino Hills varsity basketball team won Saturday's neutral playoff game against Windward (Los Angeles, CA) by a score of 49-47. RESULTWin Boys varsity basketball vs. St. Anthony. The Chino Hills varsity basketball team won Thursday's neutral playoff game against St. Anthony (Long Beach, CA) by a score of 69-59.